Reuse your powder container with our convenient and economical refill! 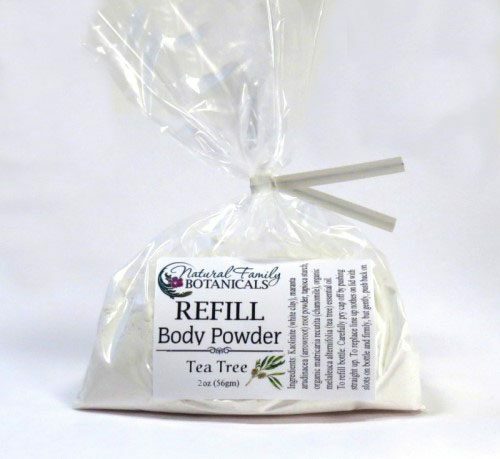 The perfect size to refill your Herbal Body Powder bottle! Our 100% natural herbal body powder is a rich blending of silky china clay, skin soothing organic chamomile, and organic essential oils. 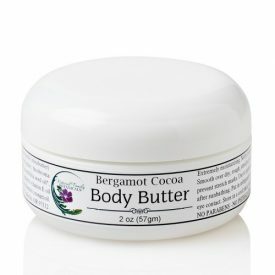 This delicately scented and highly absorbent body powder will leave your skin feeling soft and smooth. 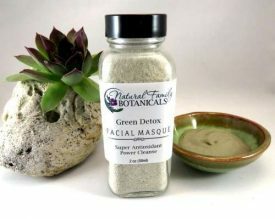 All of our powders are great to use after a bath, on hot days, as a natural deodorant, to sprinkle in your shoes, or whenever you need to feel fresh and dry. 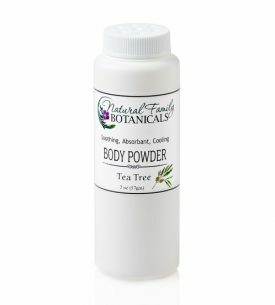 Tea Tree body powder is the perfect choice for your feet. Tea Tree essential oil has anti-fungal properties that can help relieve the itching and burning of athletes foot and other irritating foot conditions. Rub onto your feet to absorb moisture and sprinkle some inside your shoes to freshen them. 2 oz. 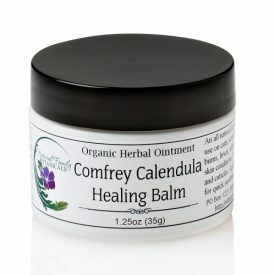 – fits perfectly, with a bit of tapping, into our reusable Herbal Body Powder bottle. CLICK HERE to purchase a full bottle. Kaolin (china) clay, arrowroot powder, tapioca starch, organic chamomile, organic essential oils (unscented version has no essential oils).